We like to bring to your attention the wonderful indie projects, and this week the app that deserves your attention is Clumzee: Endless Climb. 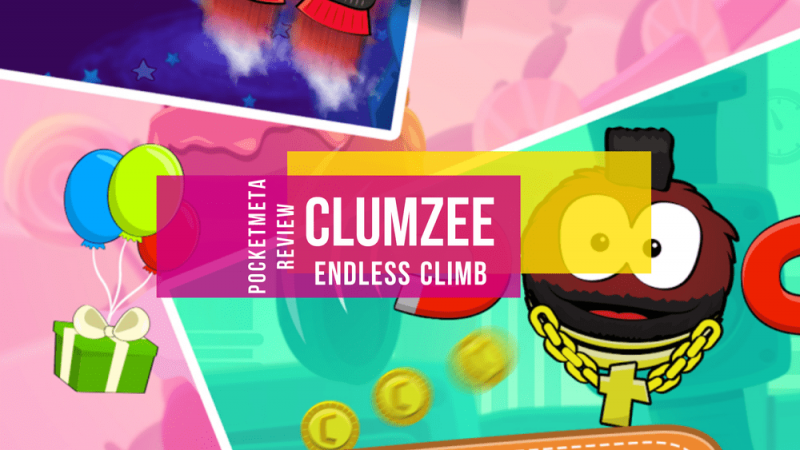 Brought to you by the indie development team at Triple Hill Interactive, Clumzee is a very neat mix of King of Thieves, Jelly Jump and spider-related endless climbing games. However, it is not just your regular doze of a time killer. What I think Triple Hill did with Clumzee is create a totally new, likeable character with a personality, and a catchy gameplay that is sure to attract young and adult players alike. In fact, it’s got all the ingredients to become your next favorite casual twitch game, now that you have had enough of Cut the Rope Magic. Check this out. Clumzee is a little spider that’s… you know, clumsy. It has four sticky legs and it uses them to move up the rocks and trees, and whatever it can find to cling on to. Clumzee is colorful and funny-looking, and the best part is you can unlock more than 30 types of clumsy spiders. Clumzee nurse, worker, astronaut, tiger, pirate, viking, samurai, and many more, each with its own unique looks and special tricks that work like a boost once the energy meter fills up for it. Kids will love the cutscenes and the cartoon style of the characters. Besides hooking the player with different spider looks, Clumzee has plenty of different environments from the outer space to the castles, forests and mountains. You will want to unlock them all not only for the sake of expanding replayability, but also for the great looks. I am so digging the candy land and my nephews are loving the space theme. Besides, each theme has its own characters that inhabit it, and its own set of obstacles and of course, a standalone monster that wants to gobble Clumzee up. Did I say something about a monster? Well, of course. You would not just climb the trees if you could just sit and wait for a lazy fly to come your way. 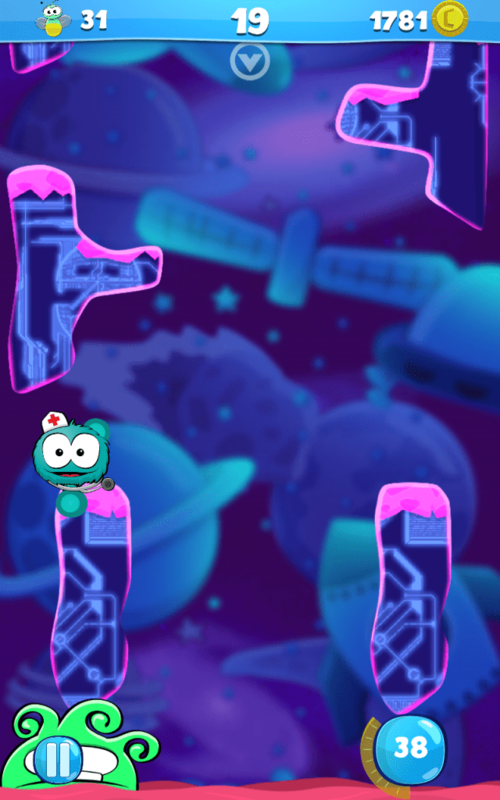 Once Clumzee starts moving, a pesky monster appears at the bottom of the screen and steadily pursues your little fellow. So, the core gameplay sees you controlling the funny four-legged spider as it climbs the walls of different layouts, avoids obstacles, collects bees and escapes the monster. So, the spider has four legs, and how do you control it? From my experience, I find it the most comfortable to play the game with my tablet placed on an even surface or with a slight angle. This is because I like to use my both hands to tap faster. The four legs are elastic and can reach quite far, but the point is to shoot them fast enough and in a timely manner to not only escape the monster, but to collect the bees and avoid the obstacles. 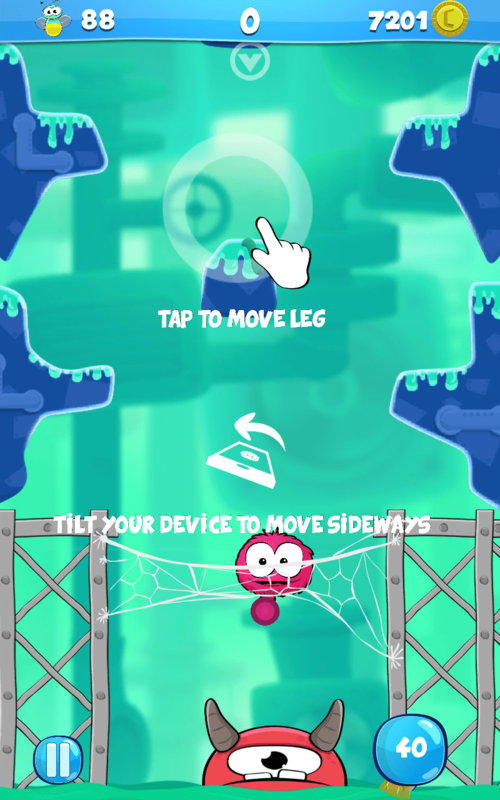 Besides the touch system, Clumzee lets you swipe the spider or use gyroscope to steer it left and right. I suppose some gamers may find this an advantage, but to me the steering felt more of a distraction that made me lose my speed. Either way, you will find your perfect play style, and the fact that the game offers you options is good in itself. The controls are responsive; the game does not lag. How does free-to-play fit in? Quite well, actually. You need to collect 75 bees to unlock a new spider while 6000 coins will let you buy a new environment. As you start, you have enough coins courtesy of the developer to be able to unlock a new environment early in the game, and after that you need to collect the resources to unlock new spiders and themes. It’s not that much of a grind, especially if you like to chase the highest score and climb the leaderboards. You can as well purchase some premium packs. For example, if you reach 250 m you will get a discount on all-in premium pack, which is $5.99. You can buy standalone characters, some are premium-only and worth $1.99. Overall, however, you are not pressed to cash out the funds, unless you choose to support the developer, and the game is perfectly playable offline, without any IAPs. You earn the bees and coins fast enough to unlock new content quite often. As I said, the environments are wonderful and vibrant with colors and funny characters. Each theme has a soundtrack of its own, and the main score is perhaps a little more catchy than I like – you know, when you go to sleep and it keeps playing in your head. In fact, the more you play it the more you notice the level of polish and detail, and realize the game is actually a labor of love rather than just a generic endless runner. 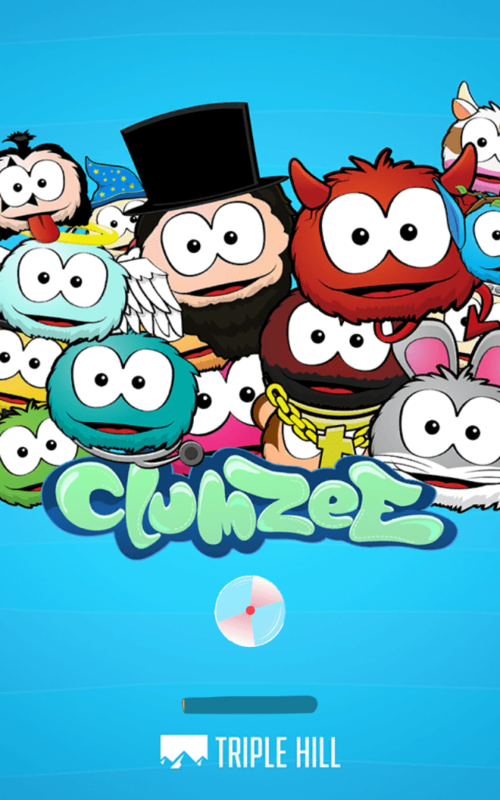 Clumzee is a fun and kind casual twitch game fit for any scenario, online with achievements and leaderboards, or offline on the go. It fits well with the fast-paced and short gameplay sessions and more in-depth loot collecting to unlock more characters. Considering there is no paywall, you can play all you want to your heart’s content. I tested it with a bunch of kids, and they, too, loved it as much as they used to love Cut the Rope Magic, Rayman Adventures and Smurfs Epic Run. So, if you are looking for a good family game, you can’t go wrong with this little gem. Disclaimer: The developer provided PocketMeta with a review copy of the game, which included the same features as the released freemium version. The developer did not sponsor the review in any way. If you are looking for a good family game, you can't go wrong with Clumzee.